Joey Chestnut regained his Nathan’s Famous Hot Dog Eating Contest championship crown when he downed 70 dogs in 10 minutes yesterday in New York. I also ate hot dogs on the 4th of July but I had to stop at two. I know I shouldn’t compare myself to a professional athlete but I have to admit that I’m a little disappointed in my performance. That’s the "King’s Hawaiian Dog" that the Dodgers are selling at the ballpark this year. It consists of a Dodger Dog covered in pineapple salsa on a King’s Hawaiian Roll and damn, it’s tasty! 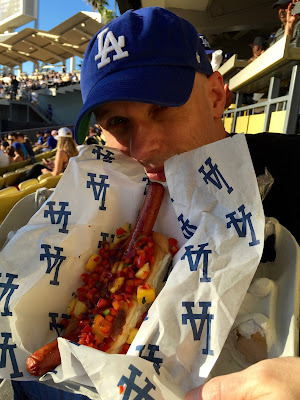 The sweet roll and the sweet salsa combine just right with the savory hot dog and would have made the trip down to Dodger Stadium worth it even if the Dodgers didn’t come from behind to beat the Orioles, which they did. Since I was already celebrating Independence Day with baseball and hot dogs, I figured I might as well go full on cliché and throw in some apple pie. 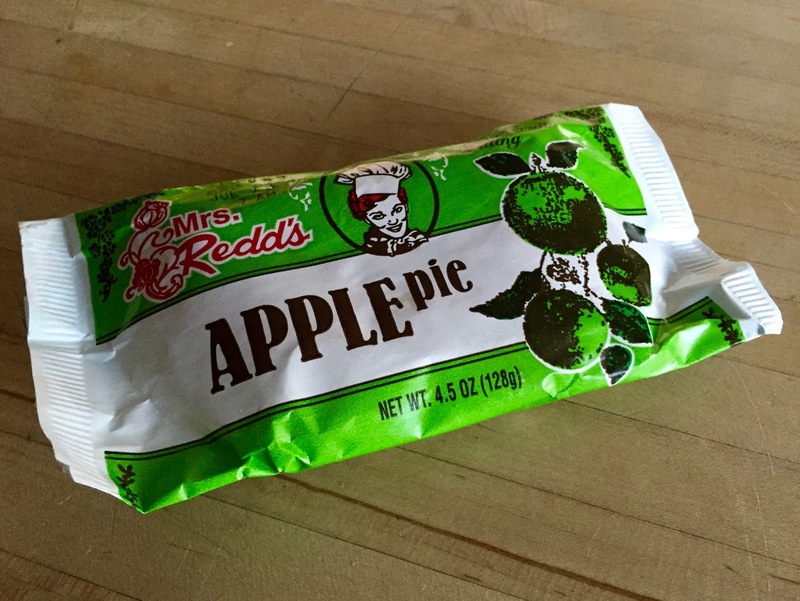 It wasn’t Mom’s, though, it was Mrs. Redd’s. 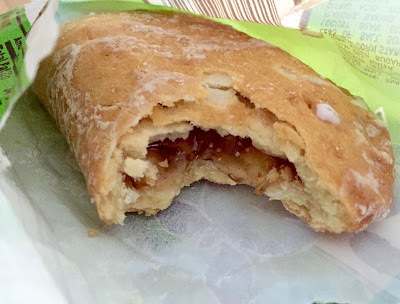 As store-bought fried fruit pies go it was okay but I have to say that Ol’ Lady Redd skimps a bit on the filling for my taste which doesn’t really seem all that American but, whatever. As I was finishing my pie and wrapping up my Independence Day I took a minute to reflect on what a gift the Founding Fathers gave me. I mean, if they hadn’t flipped their powdered wigs over taxation without representation and whatnot all those years ago then I might have spent the day watching cricket while eating bangers and mash and meat pies. I'd like to see how much of that stuff Joey Chestnut could choke down.